Summer camp – and the memories and friendships that go with it – shouldn’t have to be a luxury. 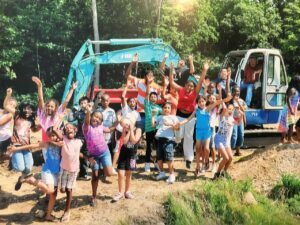 Fox Valley Christian Action, a non-profit organization in St. Charles, provides a summer camp experience for more than 700 kids each year in keeping with their goal to “see the power of the Gospel transform lives of families living in our local public and subsidized housing communities.” Thanks to a grant from the Community Foundation, a new 40-bed cabin means more kids can enjoy the amenities FVCA has to offer. According to president and CEO Jay Curtis, FVCA doesn’t borrow money for any of their projects. 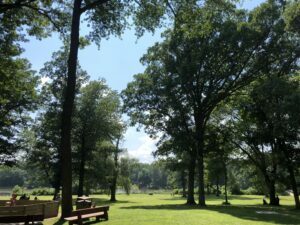 The organization doesn’t receive money from campers’ families, either; the cost to attend camp is waived so youth from lower-income neighborhoods have greater access to summer programs. Every project or addition to the camp is funded via generous donations and grants. 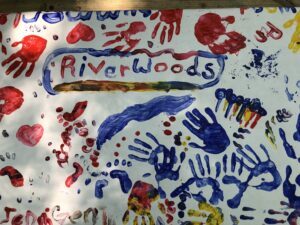 The wooded property sits on the riverbank, where craft tables, campfire pits, and a playground draw students to play and enjoy the season. A wide stretch of field near the water is perfect for a relay race or game of kickball. Bible lessons are held in an open-air chapel where students learn according to the chosen theme. Bible study, chapel, and an evening gospel lesson make up the spiritual structure of each camp day. Daily activities, combined with the camp setting, foster key social skills and leadership development in campers each year. And then, of course, there are the cabins. Each is set up dormitory-style, with community bathrooms and a living room/kitchenette. The new cabin, Palmetto, sits uphill from another soon-to-be recreational field. Excavation began in July 2013, and construction officially finished in December 2017, making Palmetto available for use this past summer. Curtis is thankful for a grant that has already allowed FVCA to expand their reach. 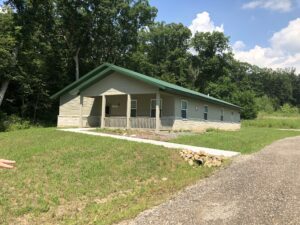 “This new cabin provides more opportunities for kids from low-income communities to come to camp for free and for their lives to be positively impacted by Jesus!” Curtis said. L to R (clockwise): One of the FVCA recreational fields; the excavation process begins; everyone pitches in to make colorful banners like these; the finished product, Palmetto. To the Dunham Fund for making this website possible.